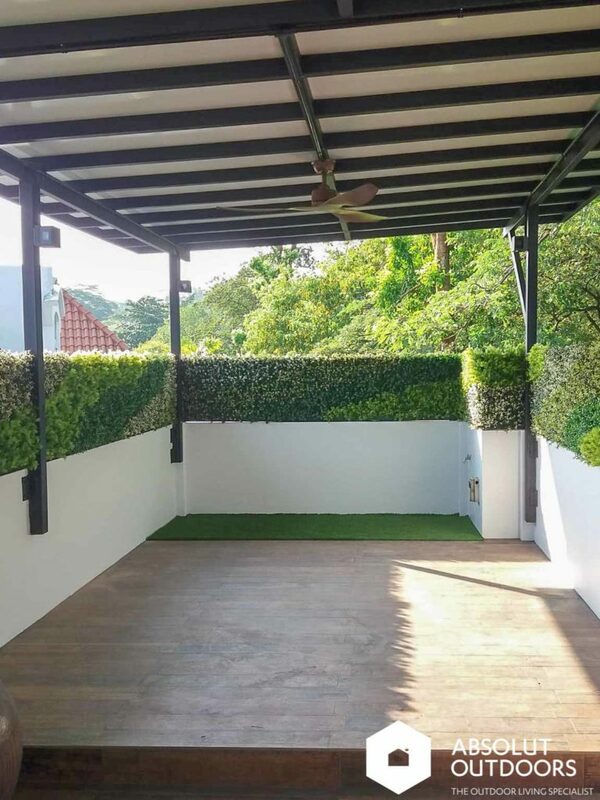 Imagine yourself doing your yoga practice at your gorgeous roof terrace. Breathe in, breathe out…..
You slowly open your eyes, and your neighbour’s face comes into focus. Say what?! Yes, when you live in Singapore, this could very well be your reality. Homes are built closely, and neighbours unwittingly (or wittingly, if you know what I mean) look into one another’s houses. Our customer here wanted a privacy screen to, well, get some privacy in their own home. They were very intentional about what they wanted. Something to add beauty to their roof terrace, didn’t require much maintenance, and did the job of blocking out prying eyes. The perimeter of the roof terrace for various amounts of sunlight and were not all suitable for live plants. 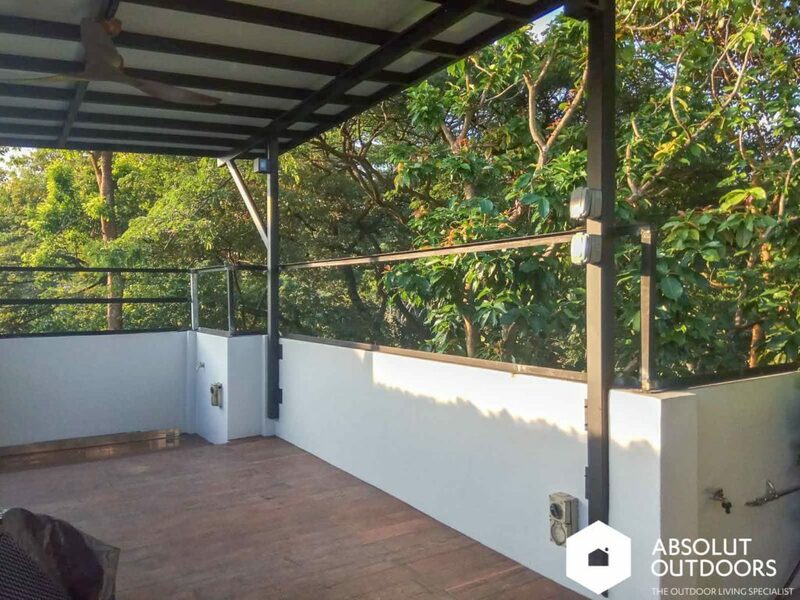 The artificial vertical gardens that we installed for them fit the bill perfectly. Given the width of the installation, we were able to create sweeping swathes of green. Our wide range of artificial plants came in very handy here and the shades of green appear to drape on the wall like a piece of art. 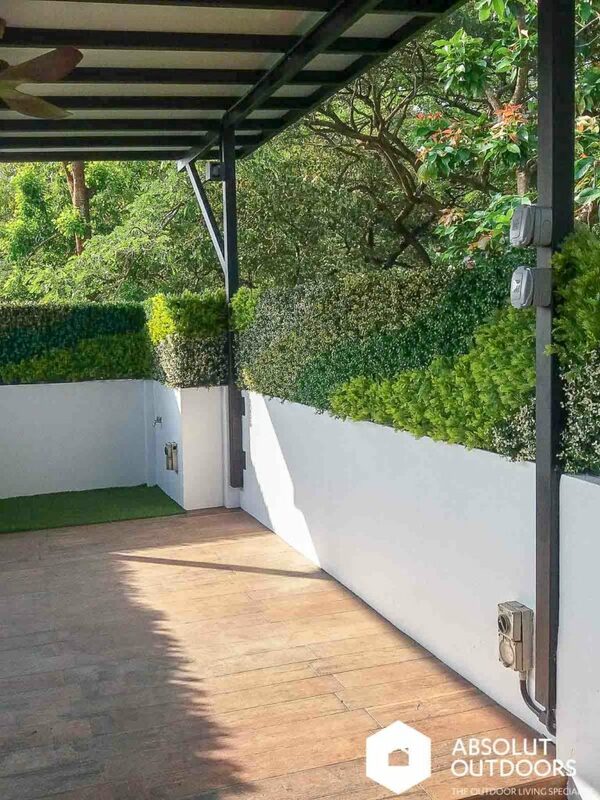 The owner kept one panel of the wall for a live green wall as that area was conducive for live plants to thrive. The best part about using artificial plants in your outdoor décor is that you can place them wherever you want them without having to worry about whether they are too high up to be watered, whether they’ll wither when you’re travelling or just if there’s too much or too little sun. Mix in live plants at areas where you know you can easily water, trim and replace if necessary and you’ll have an enchanting oasis of your own, right at home. 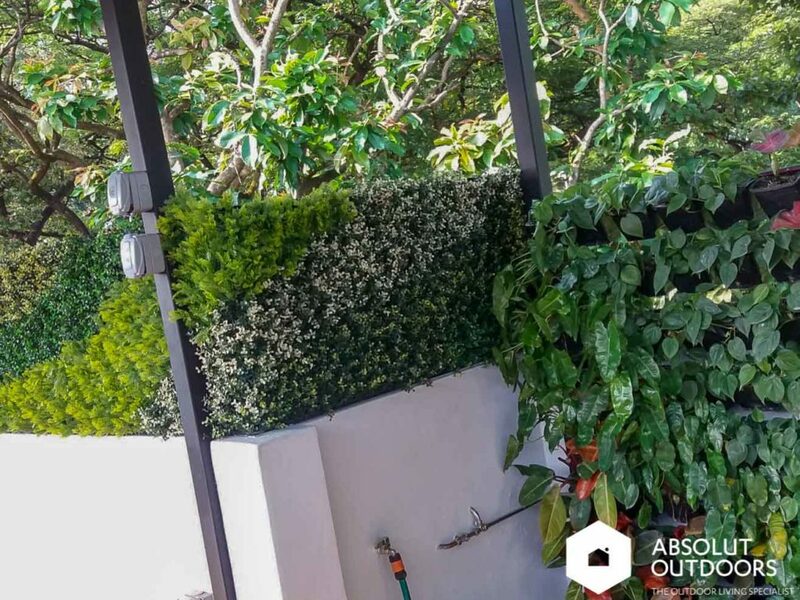 Please feel free to contact us if you need any advice on carving out some privacy in your home using artificial vertical gardens. We’d love to help.